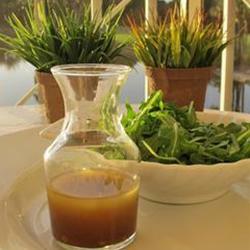 This Balsamic Vinaigrette Recipe creates a favorite dressing for almost any salad. 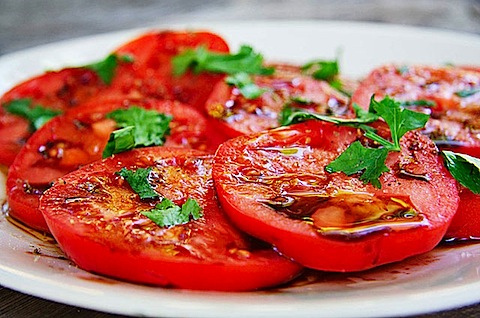 You can also use it to top fresh vegetables, especially garden fresh organic tomatoes, sliced thin. Then top those and this dressing with freshly grated Parmesan cheese (or your favorite cheese)! Yummy! This makes for a delicious and nutritious snack or side dish to accompany some chicken or other meat item, especially if you don't want a full salad. This Balsamic Vinaigrette is perfect for a Grilled Vegetable Salad! As a real bonus ...it is easy to make and only takes about 5 minutes! Preparation time: 5 minutes. Makes 1 cup. Don't forget to whisk or shake the vinaigrette before using. There you have it ...an easy, but delicious, restaurant salad dressing recipe for Balsamic Vinaigrette! Good job! 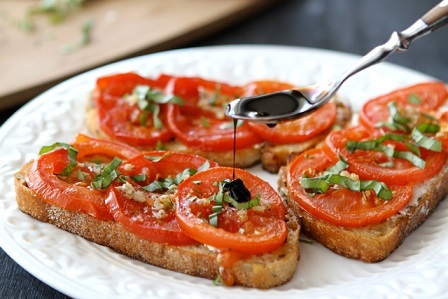 Enjoy your Balsamic Vinaigrette and the company of those you share it with! "So, if I'm cooking, I'll be steaming vegetables, making some nice salad with balsamic vinaigrette dressing …that kind of stuff."